Calumet Monday afternoon. The weather was beautiful. We checked into our suite at the AmericInn in Calumet. Very nice hotel..we have stayed there two other times. After checking in we headed to have dinner at the Michigan House. 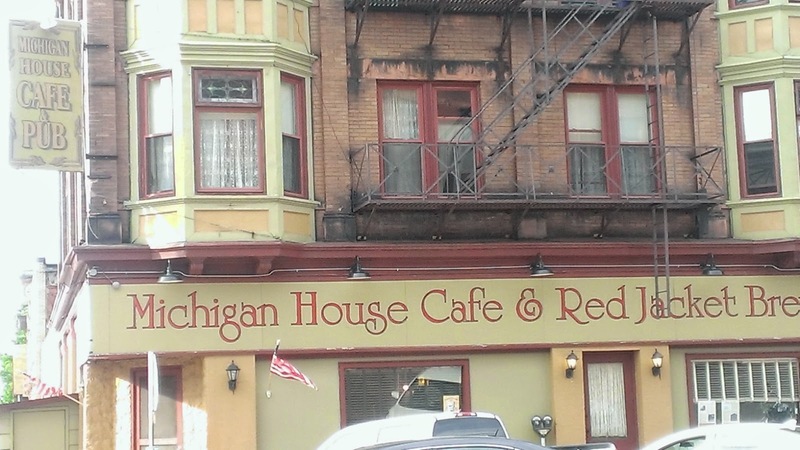 It is a unique eating spot with tons of history. 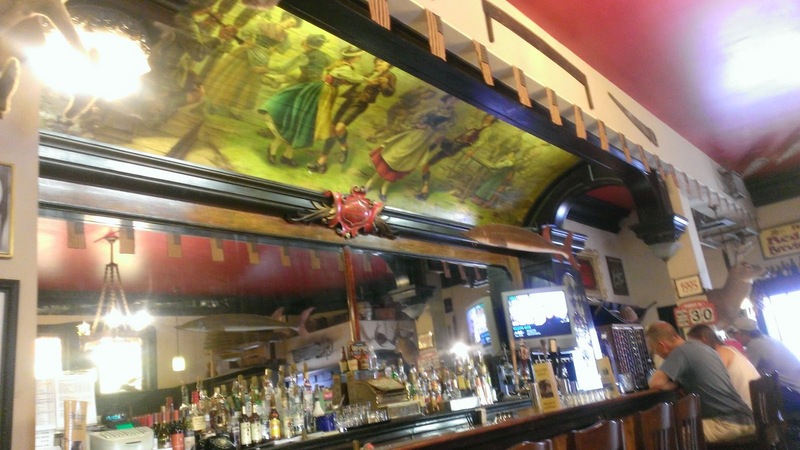 The bar has a beautiful hand painted mural that is over 100 years old. So much character with very tasty food. We all had fish and chips. Very tasty! 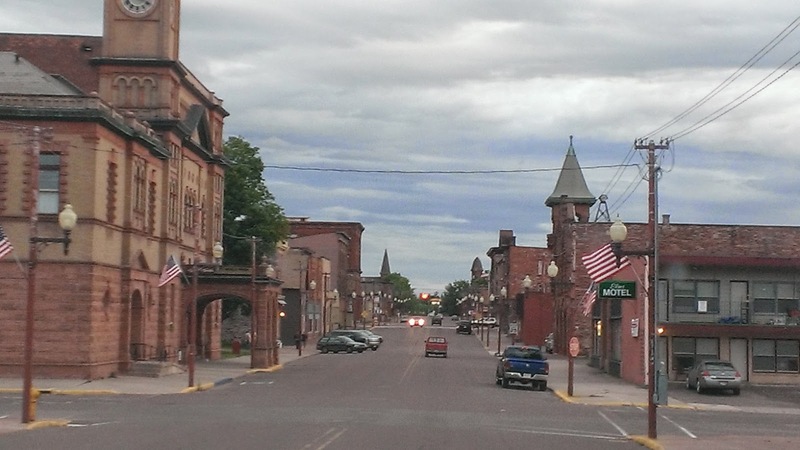 Calumet is a historical copper mining town. To think at one time more people lived in Calumet than any other place in Michigan. They even considered making Calumet the capital of Michigan. After dinner we headed to visit my husbands aunt and uncles. His mom's brothers still live in the area. Hubby was born in Laurium about 3 miles from Calumet. His only family besides his brothers and sisters are in this area. Tuesday we were up early and headed out. We spent the entire day sightseeing and taking walks in the woods. Adventure walks as Isa calls them. 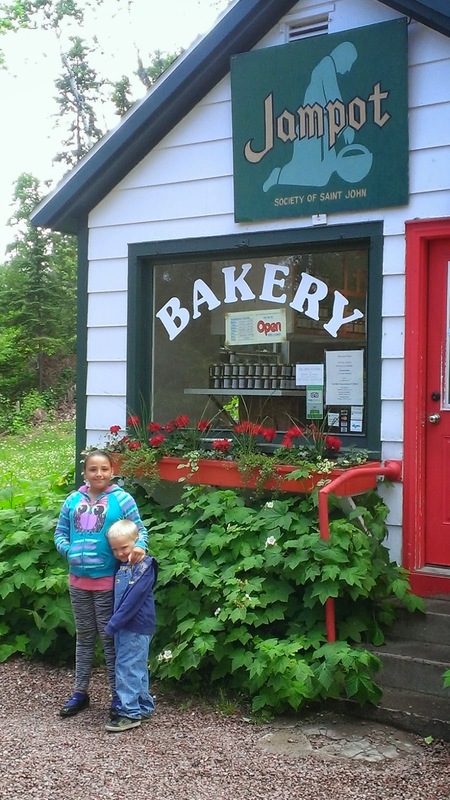 Our first stop was at the Jam Lady to purchase some thimbleberry jam. The Jam Lady makes the best jam and jellies. You can also order online. They make excellent gifts. The Jam Lady was on the Discovery Channel. We purchased two jars...one for me and one for Dawn. Thimbleberry is Dawn's favorite jam. 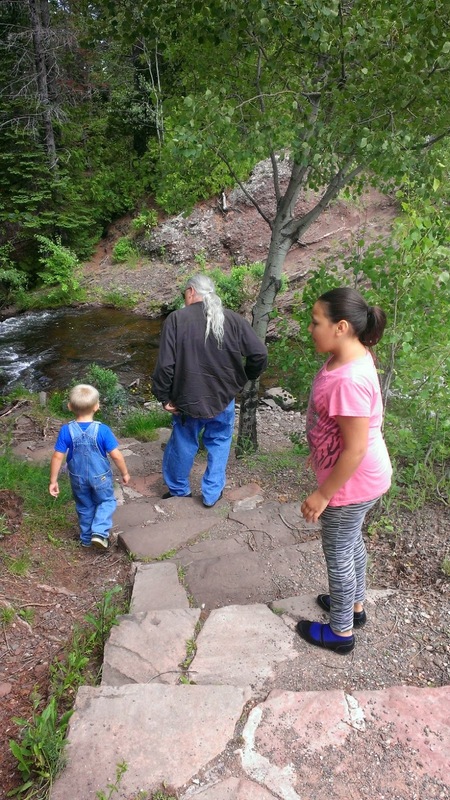 Our second stop was at Jacob's Falls and the Jampot. The Jampot is run by the Society St. John monks. They use only organic ingredients to make the most delicious bakery I have ever tasted. I am a fan of quality fruit cake. Their fruit cakes are delicious! 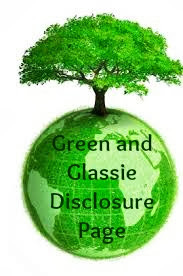 All natural organic ingredients. Their fruit cakes are so good that Christmas holiday we place an order and have their delicious fruitcakes delivered to us and our friends. Hubby and I shared apricot muffin, Isa and Davey shared a brownie. DELICIOUS! We purchased a huge cranberry muffin, cinnamon bread for Jason and a Abbey fruit cake for our after dinner treat. 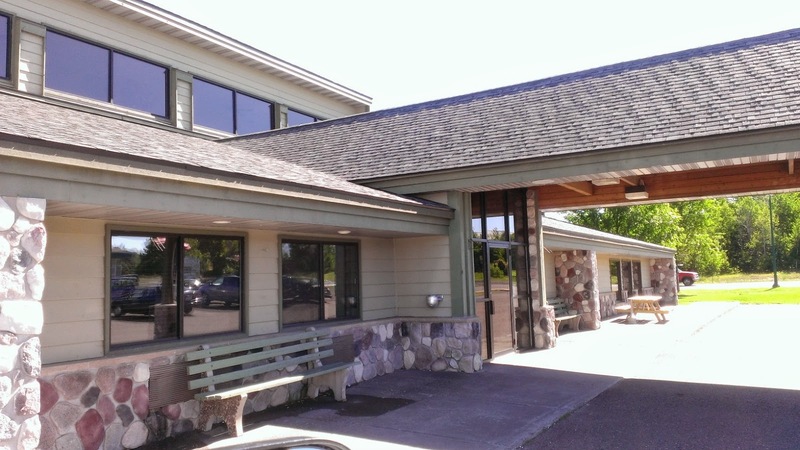 After the Jampot we continue down highway M26 headed to Copper Harbor..the northernmost location in the UP. 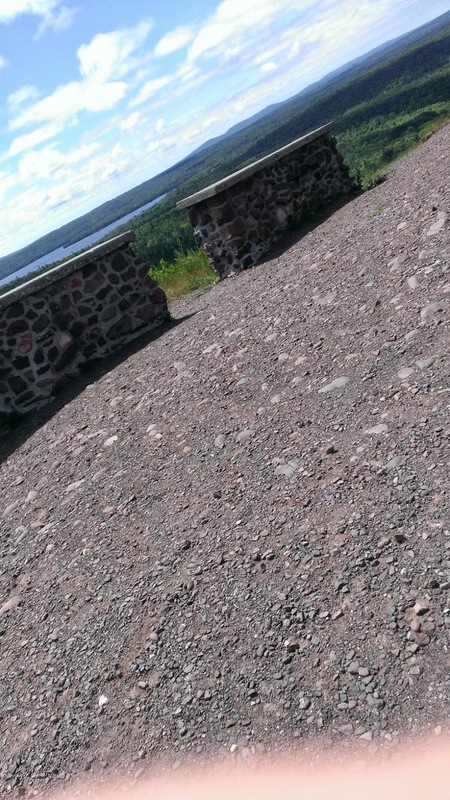 M26 runs right along the coast of Lake Superior. We stopped at the Great Sand Bay...the winds were blowing! You can see the waves on Lake Superior. Then we were off to one of my favorite roadside parks in the whole USA. 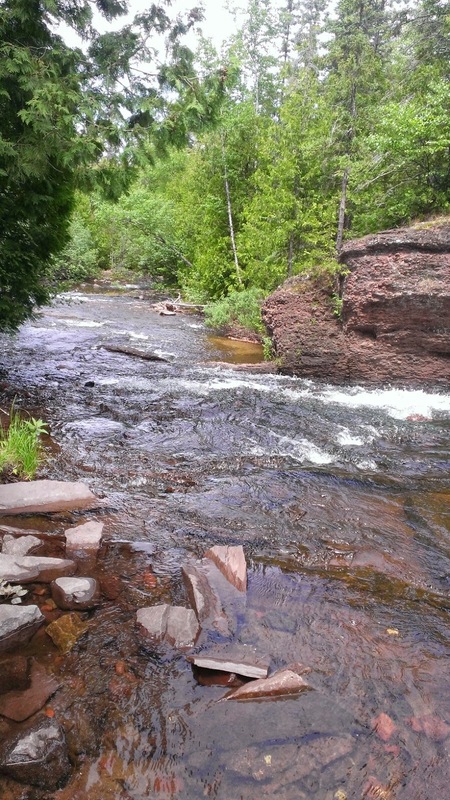 The park is located on the shores of Lake Superior - there are picnic tables - grills - rock climbing and trails. Excellent family fun stop! 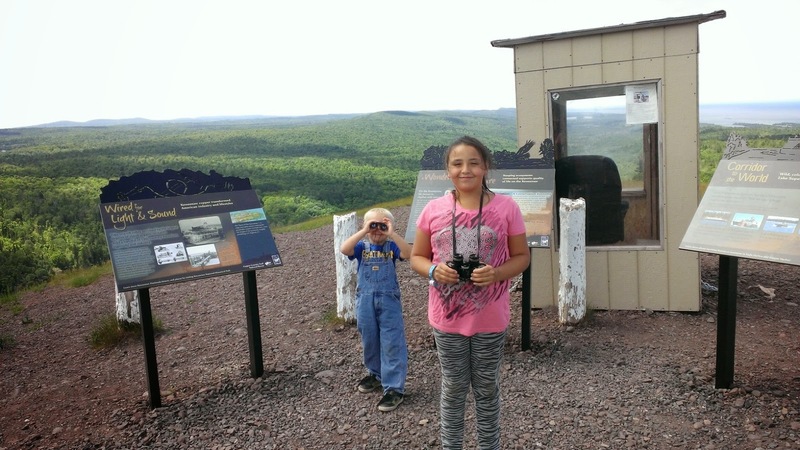 Next stop Brockway Mountain. The highest scenic roadway between the Alleghenies and the Rockies. Beautiful - Beautiful - Beautiful!!!!! 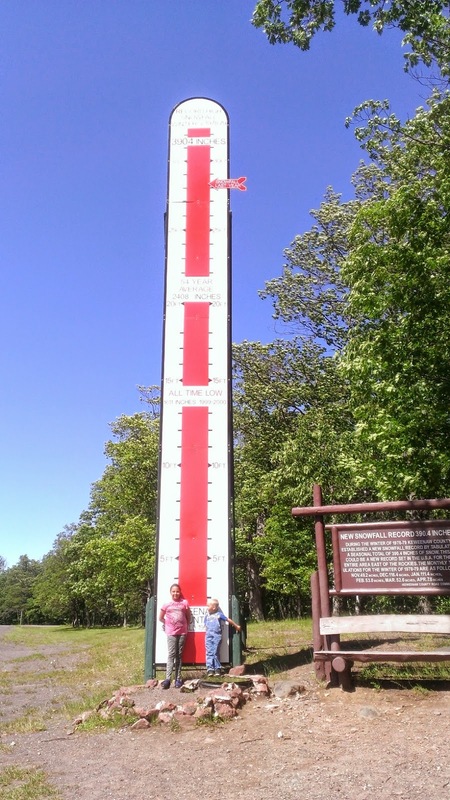 Off we head to Copper Harbor and then onto the snow gauge located on highway 41. Can you imagine that much snow! The record is 1978-1979 with 390 inches of snow! This past year was a snowy year they had over 360 inches! Way too much snow for me. After the snow gauge we stopped for Ice cream. Paths down hills to falls and then off to remote areas where only animals live. We headed to one of our favorite roads where numerous times we have seen bear. We pulled off the road and began our nature walk. 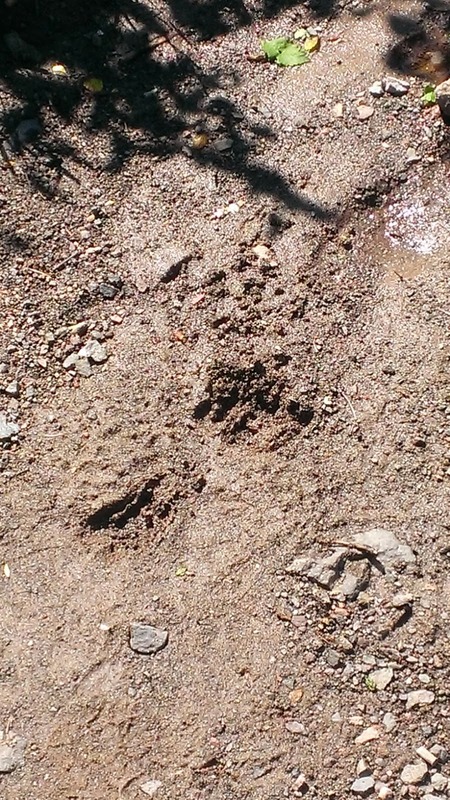 Davey right away found animal tracks....he was hyped! 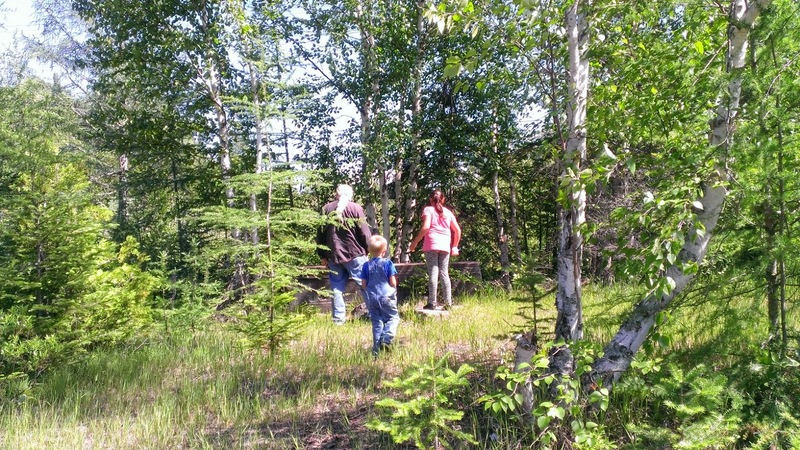 The adventure was on...we walked and enjoyed the wilderness...no bears! 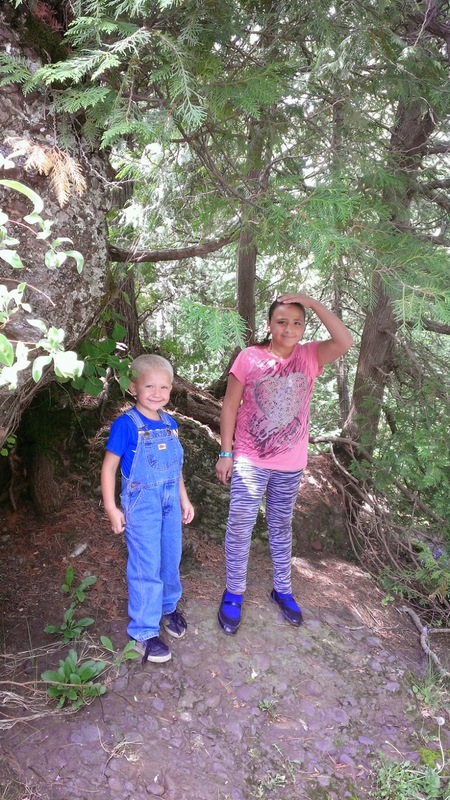 But the kids will never forget the fun time checking out nature. After the fun day we headed to the hotel for some relaxation and fun. We all headed to the pool, sauna, and hot tub. The AmericInn has a saltwater pool. Davey and Isa took their first sauna and enjoyed the hot tub. We were having so much fun a lady in the hot tub said...Gosh you guys are having such a fun time. Guess the happiness was showing on all of our facies. Back in the room we had a snack - watched some TV and then headed to bed. Next morning time to pack up and head out! The AmericInn has a excellent breakfast buffet from 6am - 10am daily. Eggs - Sausage - Pastry - Waffles - lots of great tasting fresh food. 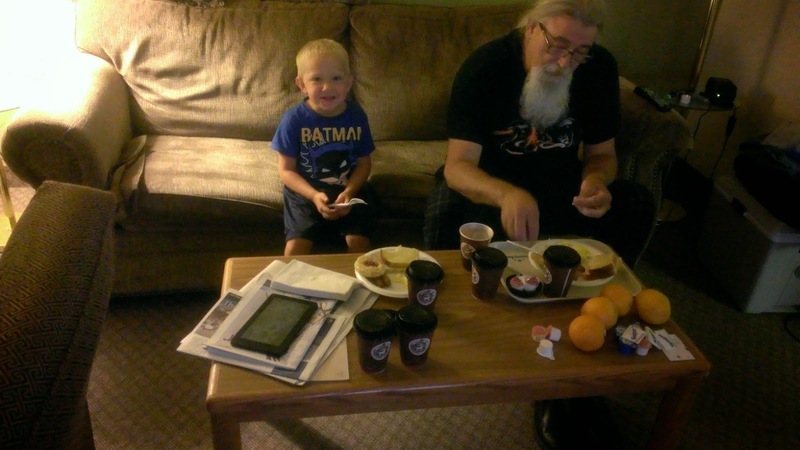 Davey and Papa ate in the room. Isa and I delivered their food. Isa and I enjoy sitting downstairs eating and watching the people. 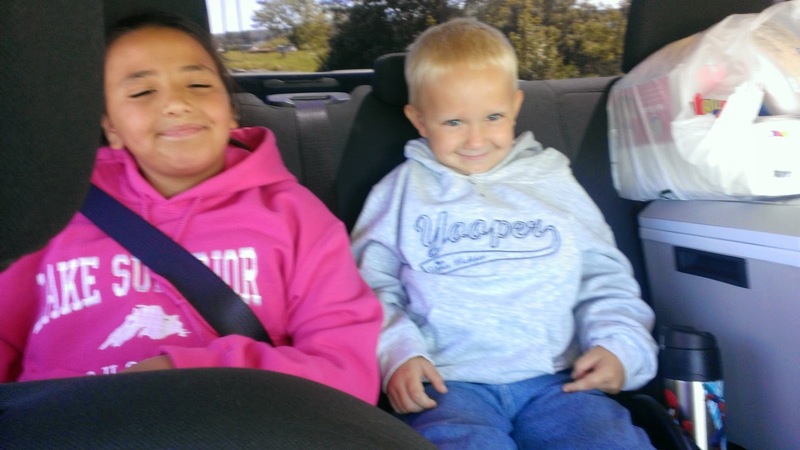 We stopped in Houghton for sweatshirt to remember our trip and then we headed to the RV in Plymouth! Fun Family Adventure!! Sure wish it could've lasted longer. We had such a good time! 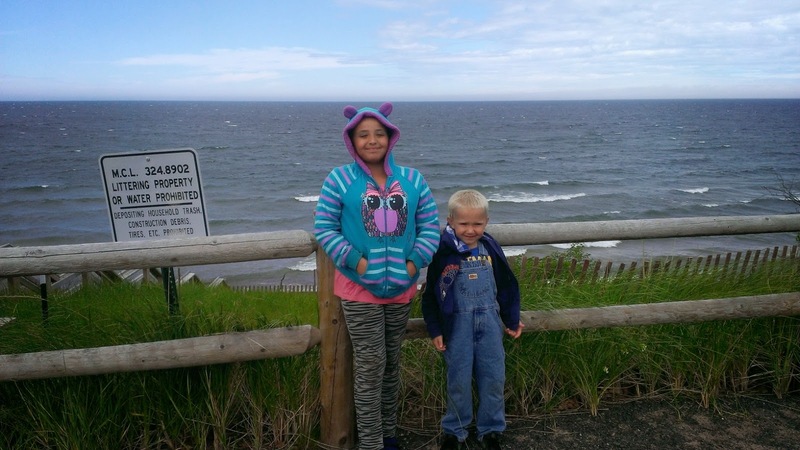 We all agree - for a fun family trip head to the Upper Peninsula of Michigan! 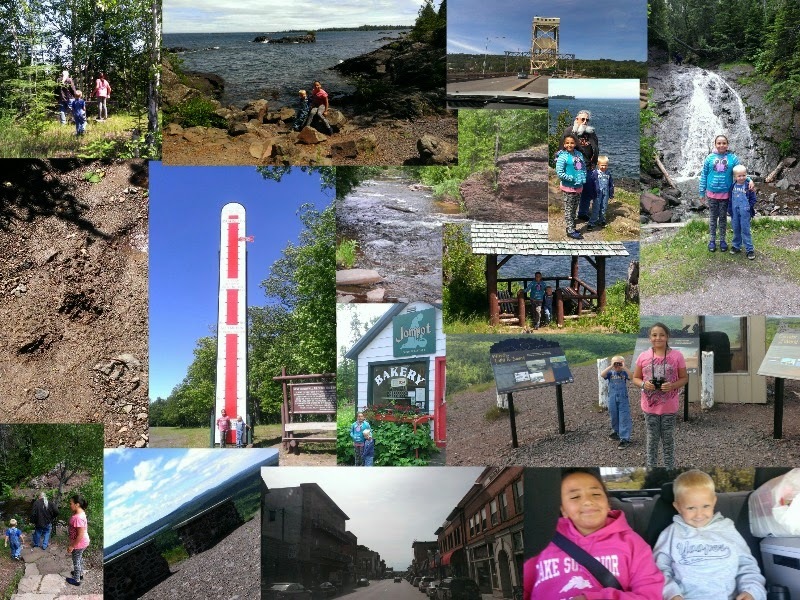 Click here for the Upper Michigan Interactive Website! Michigan is a great place with so much to explore. I have a friend that lives in Garden City and I love visiting her. That sounds like a great little getaway! I have never been to Michigan, but it really seems like there is a lot to see & do there! 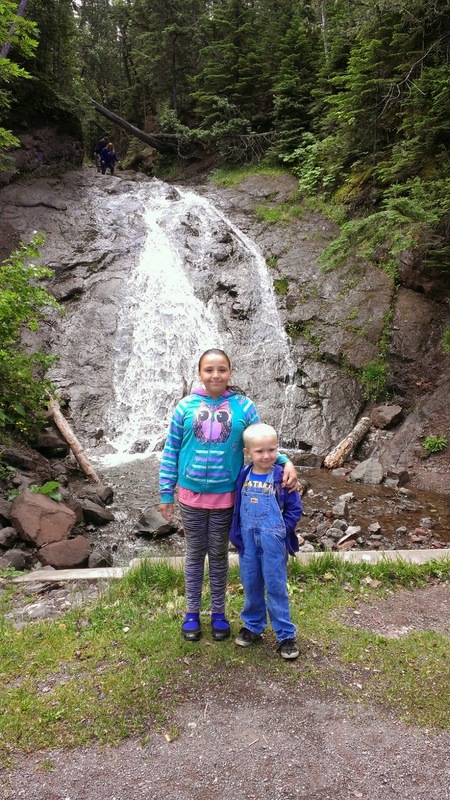 What a fantastic road trip and great adventure for your family! I've only visited Michigan via the Detroit airport. I need to actually stay awhile the next time since I have so many friends that live there. Looks like you all had a great trip! I have never explored that area of the states but it look s beautiful! Looks like a very quaint town. You did a lot just to "check out a new truck"!! Looks like you all had nice weather too, which just makes things better, uh? I have never visited Michigan before, but a stop at the Jam Lady will be a definite MUST for me! Looks like your family had a fantastic time! It does look nice. I've never been to the UP, but I hear it's always gorgeous up there!! Michigan is amazing in the summer. I've never been to the UP, but super close! Looks like an amazing getaway. I'd love to go hiking this summer! This sounds like such a great place to visit! I am really curious about that Thimbleberry jam now, I have never heard of it! I love finding vacation "gems!" 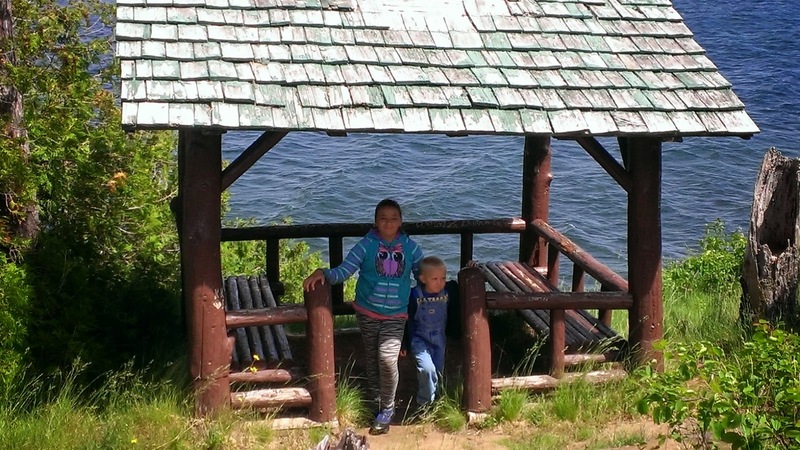 I enjoy having more time to explore with the family than fighting crowds at some tourist trap! I've only been to Michigan one time. This makes me want to come up again to experience more. I've never been to Michigan. Looks like you had a great little trip.